(From left) Loreto Soto-Rodreguez, Norma Marcias-Olmedo, Jorge Soto, Ben Elias and DaVonne Kramer. 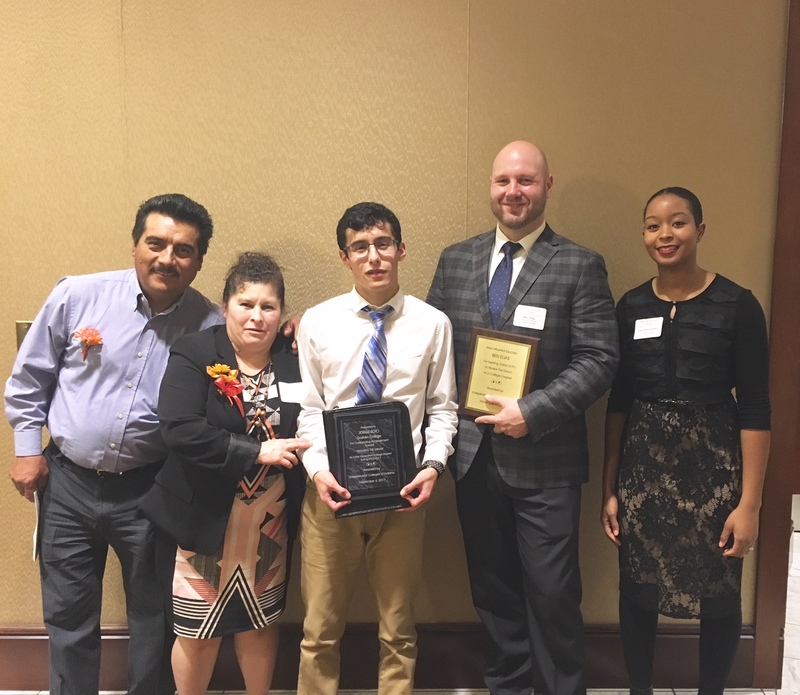 Jorge Soto, a sophomore chemistry major from Goshen, was among a group of first-generation students from Indiana’s independent colleges and universities honored at the 28th annual “Realizing the Dream” banquet on Saturday, Nov. 4 in Indianapolis. Made possible by a grant from Lilly Endowment Inc. to the Independent Colleges of Indiana (ICI), the banquet recognized students from ICI campuses who are the first in their families to attend college, along with their inspirational teachers and families. A 2016 graduate of Goshen High School, Soto is a Latino Student Union leader, peer tutor, community life volunteer, served on the homecoming planning committee and is on the Dean’s List. 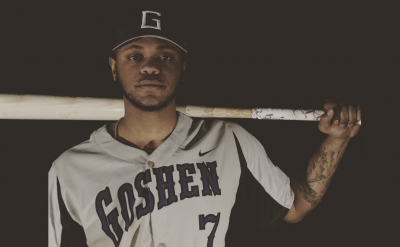 Soto said he chose to attend Goshen College to be close to his family and community, and because professors know his name and provide one-on-one attention. 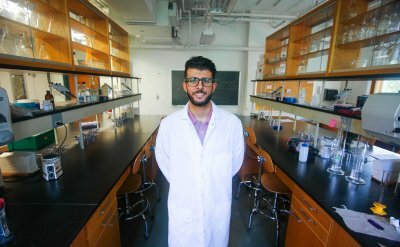 He hopes to someday use his chemistry degree to help improve his community and the world. “With my degree, I hope to be able to help the community of Goshen and someday to be able to help reduce the pollution and the negative impact on our planet due to humankind,” Soto said. Soto and his fellow awardees each received a $2,500 scholarship, and each student’s chosen “most influential” teacher or mentor received a $1,000 professional development grant. Soto chose Ben Elias, an English Language teacher at Goshen High School. 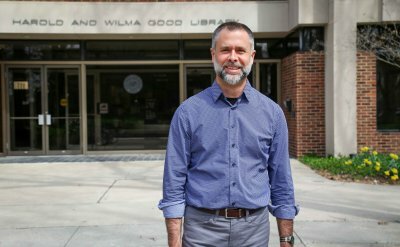 Goshen College faculty nominated Soto for his outstanding academic and extracurricular achievement in his first year at college.